Do you feel exhausted from waking up throughout the night, just to replace your little one’s dummy? Is your child unable to self-settle and needs your assistance and comfort? Do you allow your child to sleep in your bed? This may sound familiar to you, however, being a mother is a good enough reason for disruptive sleep. 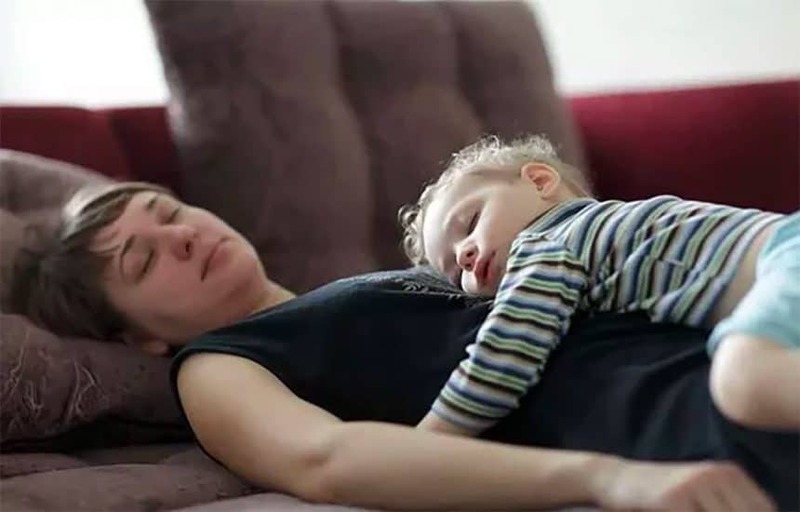 Mothers often underestimate the importance of getting adequate sleep and the overwhelming feelings that lack of sleep can bring. We all know that it is almost impossible to function at our best when we have had little, broken or no sleep at all. Lack of sleep can be linked to health issues such as obesity, diabetes, heart disease and poor work function. It can also affect the safety of those around us. Have you ever forgotten to strap your baby in their car seat or almost fallen asleep at the wheel? Studies have shown that exhaustion can be compared to drunk driving. Whilst all of us wouldn’t dream of driving after a few glasses of wine, we still manage to get behind the wheel exhausted which can have devastating consequences. There is plenty of scientific evidence explaining the importance of young children’s sleep, however, there is little data about how parents’ sleep. We can easily agree that many of us just don’t sleep enough. As a parent we must note, that it’s not just us that suffers when you are constantly exhausted, the entire family will feel it. Getting enough sleep will make you a better, more patient mother minus the frayed fuse. Go to bed early as often as you can. When you have young kids, keep going to bed late at a minimum, you want to avoid the build-up of sleep debt. Nap when you can. Better still, if your kids are sleeping, sleep when they do.If it proves too difficult to sleep during the week due to endless home responsibilities, try and swap with your partner should he be around on weekends, alternatively ask a friend or relative if they can help out. Swap responsibilities with your partner. If it proves too difficult to sleep during the week due to endless home responsibilities, try and swap with your partner should he be around on weekends, alternatively ask a friend or relative if they can help out. Create a bedtime routine. Just like the rituals for your children before bed, find some that work for yourself, perhaps you can dim the lights and read or mediate and try and refrain from using any electronic devices before you go to bed. Look after yourself. Remember that diet and exercise is on par with the need for sleep. Seek help. If your child has a consistent problem sleeping through the night, seek help if you need to from a sleep consultant before the problem worsens – if it is something that can be resolved. Make sleep a priority. Put aside the long list of things to do and rather get the extra sleep, wake up refreshed and function at an optimum. Think of what your sleep is costing you!